Background: Since the clinical diagnosis of pulmonary embolism is unreliable, various objective diagnostic methods (or combinations thereof) are advocated. Pulmonary angiography is the accepted reference method but is considered less suitable for initial screening due to its invasive nature. Therefore, at least nine different diagnostic management strategies employing invasive and noninvasive diagnostic tests are used in clinical practice. We assessed the cost-effectiveness of these strategies to help identify the optimal approach. Methods: Based on assumptions derived from published data, we calculated mortality, morbidity, adequacy for the indication of anticoagulant therapy, and associated diagnostic and therapeutic costs using a decision analytic model. Additionally, a cost-effectiveness analysis was performed using incremental costs per additional life saved. 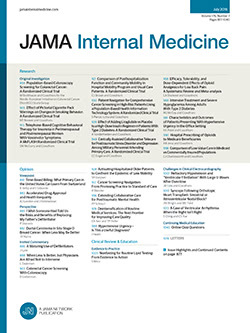 Results: The analysis identified three separate categories of diagnostic management strategies: (1) Treatment of all patients (or of those with an abnormal perfusion scan) results in the lowest mortality and morbidity rates but the highest costs due to inappropriate treatment of 55% to 70% of patients. (2) Pulmonary angiography strategies with or without prior perfusion-ventilation lung scintigraphy and ultrasonography of the legs have comparable low mortality and morbidity rates, costs savings of approximately 40%, and inappropriate treatment in fewer than 5% of patients. (3) Use of perfusion-ventilation scintigraphy with or without ultrasonography results in unacceptably high mortality rates.